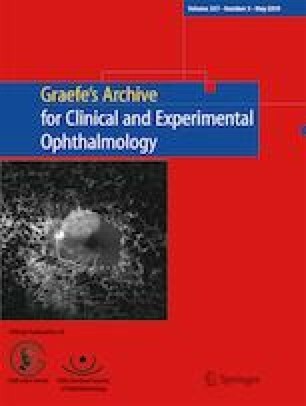 The purpose of this paper is to provide an in-depth understanding of how to best utilize 3D printing in medicine, and more particularly in ophthalmology in order to enhance the clinicians’ ability to provide out-of-the-box solutions for unusual challenges that require patient personalization. In this review, we discuss the main applications of 3D printing for diseases of the anterior and posterior segments of the eye and discuss their current status and implementation. We aim to raise awareness among ophthalmologists and report current and future developments. A computerized search from inception up to 2018 of the online electronic database PubMed was performed, using the following search strings: “3D,” “printing,” “ophthalmology,” and “bioprinting.” Additional data was extracted from relevant websites. The reference list in each relevant article was analyzed for additional relevant publications. 3D printing first appeared three decades ago. Nevertheless, the implementation and utilization of this technology in healthcare became prominent only in the last 5 years. 3D printing applications in ophthalmology are vast, including organ fabrication, medical devices, production of customized prosthetics, patient-tailored implants, and production of anatomical models for surgical planning and educational purposes. The potential applications of 3D printing in ophthalmology are extensive. 3D printing enables cost-effective design and production of instruments that aid in early detection of common ocular conditions, diagnostic and therapeutic devices built specifically for individual patients, 3D-printed contact lenses and intraocular implants, models that assist in surgery planning and improve patient and medical staff education, and more. Advances in bioprinting appears to be the future of 3D printing in healthcare in general, and in ophthalmology in particular, with the emerging possibility of printing viable tissues and ultimately the creation of a functioning cornea, and later retina. It is expected that the various applications of 3D printing in ophthalmology will become part of mainstream medicine.